Download Free Office Branding Identity PSD Mockup. 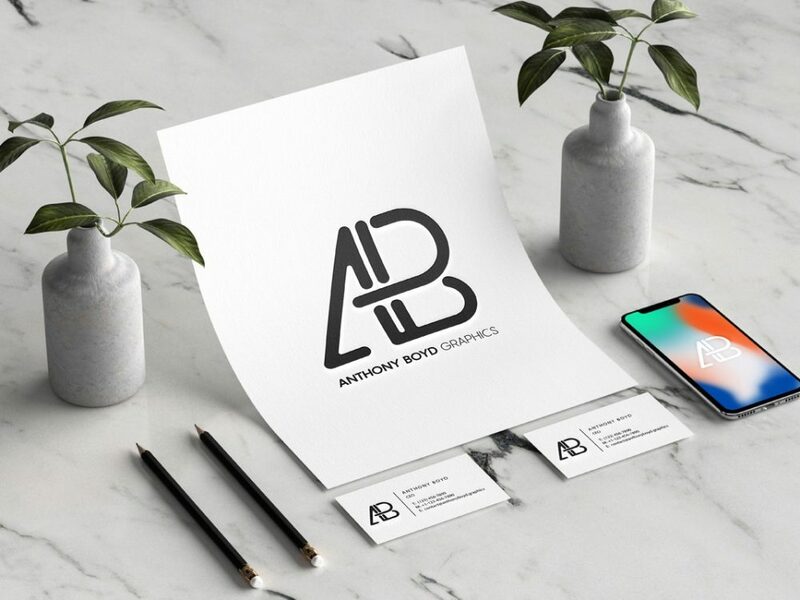 Use this mockup to showcase any branding work you might have including business cards and iphone x. It will give your design a perspective, realistic and professional look. Using a smart object, it is very easy to make your presentations instantly. Good work done by Anthony Boyd Graphics.